Vinyl siding installations in Philadelphia, PA and around the country are one of the most popular and wise remodeling decisions which a homeowner can make! The material is incredibly resilient, affordable and long lasting and when your vinyl siding installation in Philadelphia, PA is performed by the experienced professionals here at Next Level Exteriors you can be confident that you’ll receive the highest quality results that can be found anywhere! 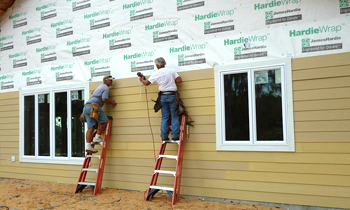 With such a wide variety of vinyl siding installation Philadelphia, PA options, the Philadelphia vinyl siding installation contractors here at Next Level Exteriors are your one-stop shop for quality, lasting exterior siding which will make your home look and perform its best for years to come. For your free at-home consultation and estimate for vinyl siding installation Philadelphia, PA services simply take a moment to call our friendly and knowledgeable representatives at (215) 302-9888! Our team of local Philadelphia vinyl siding installation contractors are available right now to protect and perfect your home’s exterior siding look!